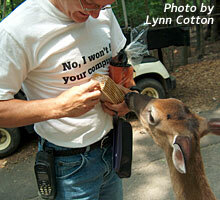 The Yellow River Game Ranch web site was developed and is maintained by Shoestring Solutions. When you need a great-looking web site on a shoestring budget... contact Shoestring Solutions! The Game Ranch newsletter is hosted by Shoestring News. Keep up with the latest news and happenings at the Game Ranch by subscribing here.